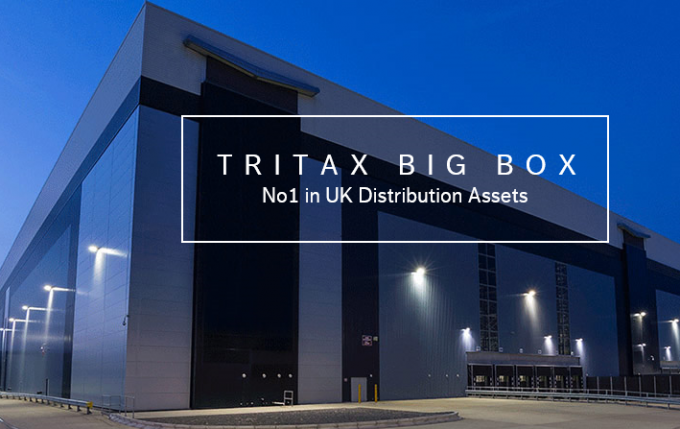 Tritax Big Box REIT (BBOX) has announced the results of its recent fundraising under which the Company has raised approximately £250 million (before expenses). The net proceeds of the issue are to be used by to fund the acquisition of an 87 per cent. economic interest in db Symmetry as well as further investments. The db Symmetry acquisition is expected to complete on 19 February 2019. [QD comment: regular readers of our news will have seen our comments, when the issue was announced, that it was dilutive as the issue price was below BBOX’s NAV. As a consequence, BBOX’s share price fell some 3.5% in reaction on the day the announcement was made (click here to read Tritax Big Box dives as it announces dilutive share issue). We’ll now have to wait and see whether this was just a one off or if BBOX will come back with another dilutive issue (we hope not) and whether BBOX can now build on the extra space and revalue the new properties in line with its existing assets, thereby creating the upside shareholders will be hoping for]. BBOX has raised £250m through the issue of 192,291,313 new ordinary shares at an issue price of 130 pence per share. BBOX says that under its open offer, which was significantly over-subscribed, valid applications were received for 152,562,386 new ordinary shares in respect of qualifying shareholders and these will be satisfied in full. Valid applications were also received for 204,679,211 excess shares under the excess application facility and a scaling back exercise has been undertaken in accordance with the terms set out in the prospectus. The Board says that it is “pleased with the response from the Company’s Shareholders and the strength of their support to complete this fund raising successfully. It enables the Company to move forward with the Acquisition of db Symmetry which represents a significant opportunity for the future further growth of the Company, investing in assets on attractive terms and helping to ensure we maintain the high quality nature of our portfolio. Well REITs have to distribue 90% to shareholders with a divi. Expansion is always going to funded through raises and or borrowing. Would expect at least one a year from both BBOX and SHED. I own both.